Our top-of-the-line solar panels give homeowners more energy. They deliver the highest efficiency available in a residential solar panel today, at a record-breaking 22.8%. * That means homeowners get more electricity, more flexibility, more peace of mind, and lower electricity bills. Most energy from less space: SunPower X-Series solar panels deliver 44% more power per panel. * Which means you can create more power in smaller spaces, with fewer panels. And, you can position them on the sunniest parts of your roof. 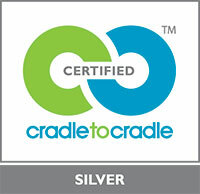 We’re proud to announce this prestigious honor for sustainable manufacturing of our E-Series and X-Series Solar Panels made in Mexico and France ­– the world's first solar products to be Cradle to Cradle Certified™ Silver.